Are you reading this Pinalove review because you are in the thinking of joining this online dating website? Did you know that this is the second largest online dating site that caters to Filipino women? Let’s find out more about it by reading the information provided below. Pinalove may be the most popular and largest online dating site, but it doesn’t mean that they are also reliable. The reason behind this is because Pinalove is quite common for scamming. The good thing is if you still want to try it out because you won’t have anything to lose. Of course, expect your time and coming across with a ladyboy. The reason behind this is because there are a lot of ladyboys on Pinalove. So if you are not into them, then you should be cautious. Of course, there are also chances of you meeting beautiful Filipino women here. Unfortunately, if you are on the lookout for high-class women, then you might not be able to find them here. The reason behind this is because most of them are not into foreigners. But if you are okay with an average Filipino woman who is beautiful, then joining online dating sites would be your best shot. Yes, Pinalove may be a decent website, but it is not as good as FilipinoCupid. If you are worried about your age, then you shouldn’t worry about it too much when joining Pinalove. The reason behind this is because the majority of the people who are members of this site doesn’t have an age preference. If you notice the majority of their profiles, you will see that their choice of age is set to Any. 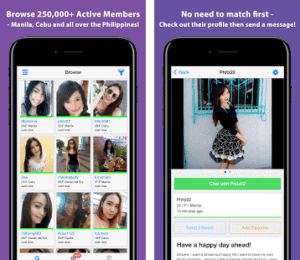 When approaching Filipino women on Pinalove, it would be best to approach them with kindness. If you are going to hit on them, then you should know that they may get very shy about this. In fact, they may even keep their online dating escapade a secret. You won’t even caught the majority of them chatting with a foreigner because of different cultural reasons. But you shouldn’t be worried because once they get comfortable with you, they will also get comfortable in public around you. Despite this website’s unreliability, there are still a lot of women in this online dating site. If we are going to rate women on Pinalove, we’d say that majority is a 5. But there are also some 7s and as well as 8s who are looking for western men. One of the best things about this website is that majority of the women have tons of photos on their respective profiles. But don’t get fooled by the images because some are using their best angles that they can upload online. Sometimes, it can be challenging to tell if she is a woman or a ladyboy or someone who is overweight. As mentioned above, there are also women with a rating of 7 and 8, and this just means that there are hot women on Pinalove. One of the best things about Pinalove is that they allow their users to upload as many photos as they please. This is an excellent way for men to be able to assess women on Pinalove. As you all know, it can be quite hard to determine a person who doesn’t have a lot of photos. This is also the reason why some prefer uploading a lot of pictures to prove that they are real and that they are not ladyboys. For people who don’t know, there is some online dating website that is full of fake accounts. Unlike FilipinaCupid, Pinalove is not that good at weeding ladyboys and scammers, who are posing as women. Due to this kind of problem, many members are deactivating their accounts and going through different sites that can satisfy them. Typically, people who are new to the online dating scene are the ones who get victimized by these scammers and ladyboys. But don’t worry, because, after quite some time, you will surely get to figure out if you are being scammed or if you are talking to someone who is not a woman. If you are a man who is looking for friendship, a partner, or even a Filipino wife, then Pinalove may be your starting point. If you avail of their paid membership, you will be able to enjoy their chat and video call features. Using the chat and video call feature will let you know if you are talking to the same person who is in the profile picture. You will surely know if you are getting scammed if the person doesn’t want to chat and let alone video call. That person surely has something going on, that’s why he doesn’t want to be seen. It’s either the person created a fake profile, he is a ladyboy, or that person is a scammer. If this happens, it would be best just to move on and look for someone else who is willing chat and video call. 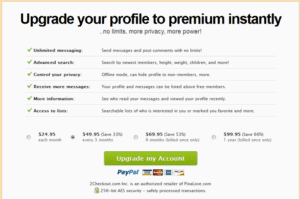 As you have read, the paid membership offers you things that you can’t see in the unpaid version. Unpaid ones will only let you send a message every 15 minutes, which is a significant inconvenience. This means merely that messaging multiple girls is almost next to impossible. So if you want to make sure that you are going to enjoy the site, then getting the paid one would be best. The reason behind this is because it will let you use the webcam chat, unlimited sending of messages, and of course, you can get to enjoy the live chat. Another good thing about the paid one is that you can filter the search option. For instance, you can filter the categories by weight, height, location, and as well as age. In general, Pinalove can be a place where you will be able to meet your future partner. But it can also be a place where you can get fooled and scammed. Whether you avail of their free membership or the paid ones, it would be best always to be cautious when it comes to chatting and meeting people online. Lastly, avoid giving out too much information to avoid getting blackmailed and such.